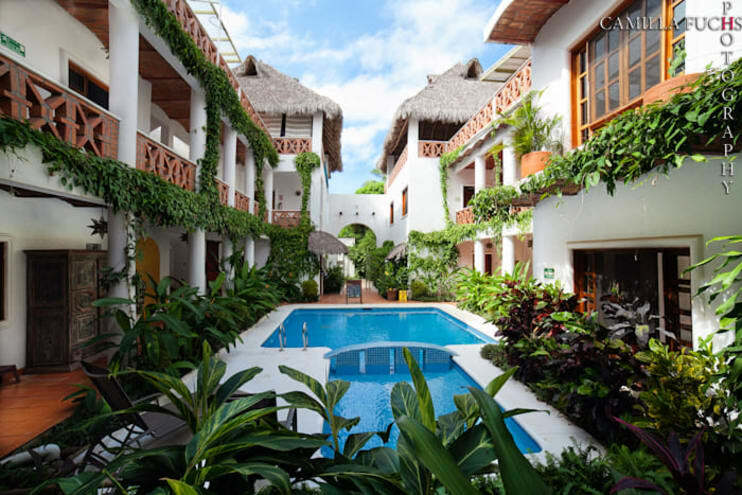 Hotelito Los Suenos in Sayulita, Mexico is the little hotel of dreams. In the heart of this tropical seaside village you will come to relax and indulge. At Hotelito los Sueños we’re all about pleasing our guests, who we consider friends in the making . . . and about offering something slightly different. At this little hotel of dreams, you will be waking up to the morning bird song, and might just take a stroll over to our smoothie bar for a healthy licuado made right before you with fresh local fruit like mangos and papaya. Hotelito Los Suenos’ pool area is lovely and the garden offers a sense of seclusion and incredible beauty with a variety of flowering shrubs and lilies. For more spacious sunbathing, try out our roof top sun deck. 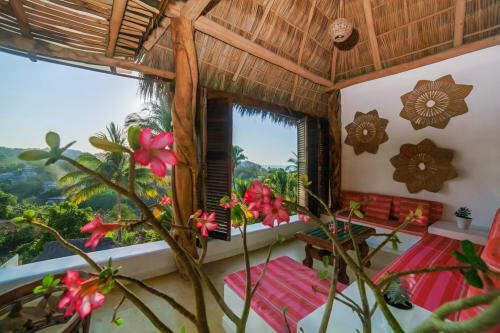 Your hotel guest rooms at Hotelito Los Suenos in Sayulita will be clean, secure, tasteful and comfortable. You’ll even find a book of our favourite activities, restaurants (with comments!) and things to see and do in the area. Hotelito Los Suenos’ guest rooms comprise both one and two bedroom units with kitchen and also one-bedroom guest rooms without kitchen. Tastefully decorated in a funky but traditional Mexican style with ceramic tile floors and (not so traditional) air conditioning. Purified drinking water is available throughout the hotel. At Hotelito Los Sueños in Sayulita, we’d like you to find your little field of dreams, surrounded by comfort, tranquility and our very high level of service. This little hotel and yoga space was so ideal. It's just a couple of minutes from the quiet north end of the beach, but away from the noise. There are a couple of pools that you can lounge by (or you can borrow beach towels and umbrellas and head to the beach). The rooms were clean and the staff were excellent. The daily breakfast was healthy and tasty. Overall, a wonderful place to stay! This is a great hotel, the registration desk was open air, covered, near one of the pools. Great hosts, not speaking Spanish was not a problem. Rooms of various capacities - Some with bed and bath and others with a kitchenette and separate bedroom. Three stories, but no elevator, so be ready for stairs. Rooms spread out, very nice arrangement. Reasonable internet (always had a connection but there were times when the external internet was not available). Carry a flashlight, small storm went through and the town was without power for 4-5 hours, (okay, not internet connection at that point). Staff was delightful and very helpful. We prefer a "hotelito" and got to know the friendly staff quickly. Lovely rooftop breakfast, and good yoga classes on site in two different palapas. There's a choice of pools, depending on whether you want sun or shade, and the hotel is nicely located near the beach and a short walk to town. Good, reasonably priced massages available. I stayed here with my teenage daughters for 8 days and we all loved it. The location was nestled in a quiet neighborhood yet still an easy walk to downtown and the beach. 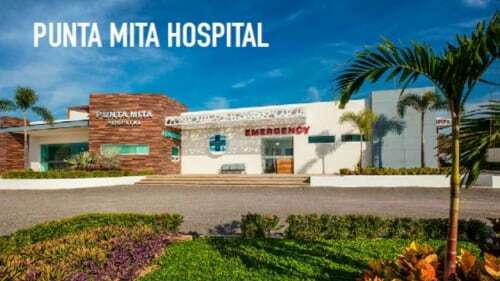 The staff were friendly, patient, and helpful. Breakfasts were delicious, hearty, and varied. Our room was on the new side and I think they did a great job with the addition in maintaining the beautiful, open architecture. More hooks to hang towels and swimsuits to dry would be helpful - things don't dry quickly due to the humidity and we totally support re-using towels to reduce waste from over-laundering. This is a nice small hotel in a great location, with good yoga classes, nice studios, great breakfast buffet included, and pools. Easy walk to beach and town, but far enough to be quiet. Rooms are nice size, clean. Good value as well. Enjoyed the week. 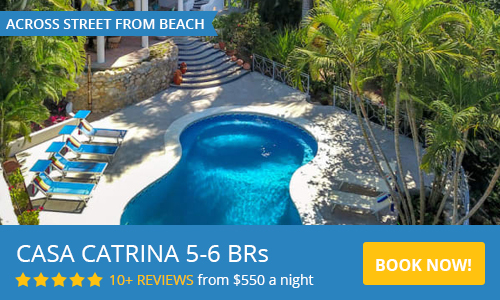 Quiet street, choice of two pretty pools, convenient to the beach, wonderful massages offered in-house, and daily yoga classes in an attractive yoga palapa on the roof. Delicious, ample breakfast included and the staff was very friendly. With air-conditioning on, you don't hear any of the courtyard/rooftop noises when you want to sleep. We stayed here for 3 nights and enjoyed being in the quiet part of town. We met some other people who were staying in the center of town and they said the late night music was problematic. We were surfing every day, so going to bed early and getting up early. The rooster that lives behind the hotel starts making noise around 5:30 am even though the sun doesn’t come up until 7am or so. Although is seems like there are roosters all over town so it may be hard to avoid the early morning wake up calls. The hotel’s breakfast is served starting at 8:30, which means if you have an 8am surf lesson you cannot enjoy the hotel breakfast. I think this is more the local custom though as we only found 1 restaurant that opened before 8am. The staff is quite helpful and will arrange activities and transportation for you. They attend the front desk from 8am until 10 or 11pm. After those hours you need to use a key to enter the locked gate to the hotel. This may be the nicest hotel in Sayulita (although we only saw a few others). If we could rate it 4.5 stars we would. I stayed at Hotelito los Sueños for eight nights with my 13-year-old. It is very close to town which is great for people who are not up for the golf cart experience and don’t mind walking on an unpaved street. originally we were in room 104 because I requested A quiet room off the street (it was) but the patio was more or less a blank wall and not much light. When I ask for another room they gave us 204 which was just lovely! The tropical trees that look over into another hotel‘s backyard are so beautiful. Very quiet if you don’t mind the roosters in the morning which did not bother us. The hotel has many yoga classes throughout the week for only $7.50!!! They also have workshops going that you can attend. No need to book a yoga retreat when you’ve got it right upstairs! All the staff were very accommodating! It feels like a family. Loved the breakfast buffet. There was always yogurt, homemade granola and fresh fruit. I think the only thing that would’ve made it a home run was if they made eggs to order for the kids. Most of the egg dishes that were served had some type of chili or veggies in them and my son basically stop coming to breakfast after the third day. And the coffee could’ve been much stronger. That’s more of a management decision. Hotel also provides an array of sports equipment and beach accessories as well as bikes. There are about seven restaurants a block away (as well as a couple of espresso bars, which are far enough from the main center that you don’t have to deal with the crowds if you don’t feel like it. Easy access to the quiet end of the beach. We will return to this lovely spot in Sayulita! I can honestly say that my stay at Hotelitos Los Suenos was one of my favourite overseas hotel experiences ever.It is a gem of a place in the quiet part of town and 2 minutes to the beach and a 5-10 min stroll to town.The staff were very friendly & helpful, the daily yoga classes were excellent and held on the roof of the hotel in lovely surroundings, the breakfasts were delicious and my room was large and comfortable with a balcony.I loved it!!! Charming and affordable small hotel that is close to beach and town but off the beaten path. Staff is friendly and attentive. Breakfast and yoga on the rooftop is just wonderful. We'll be back. 3 pce Bath, Air conditioning, Mini Fridge, Ceiling Fans. 3 pce. Bath, Air-conditioning, Ceiling Fans, Balcony. 3 pce Bath. , Kitchen, Air conditioning, Ceiling Fans, Balcony. Kitchen, 3 pce. bathroom, Air conditioning, Ceiling Fans.